We believe solutions are half of the equation. We pride ourselves in the latest in business technology and provide award winning customer satisfaction. Implement a proactive approach using remote monitoring to protect your network and manage technology. Improve efficiency and increase profit by storing, routing, and retrieving documents electronically. Take your business printing to the next level with outstanding image quality and workflow integration. We can offer a fresh perspective on improving productivity, lowering costs, and enhancing security. “The relationship with our vendors has improved because we now have a consistent and reliable way to communicate order information. We’ve found that better vendor relationships support better customer service. We take a consultative approach. By focusing on your business goals, we create an individually tailored solution with today’s cutting edge technology. 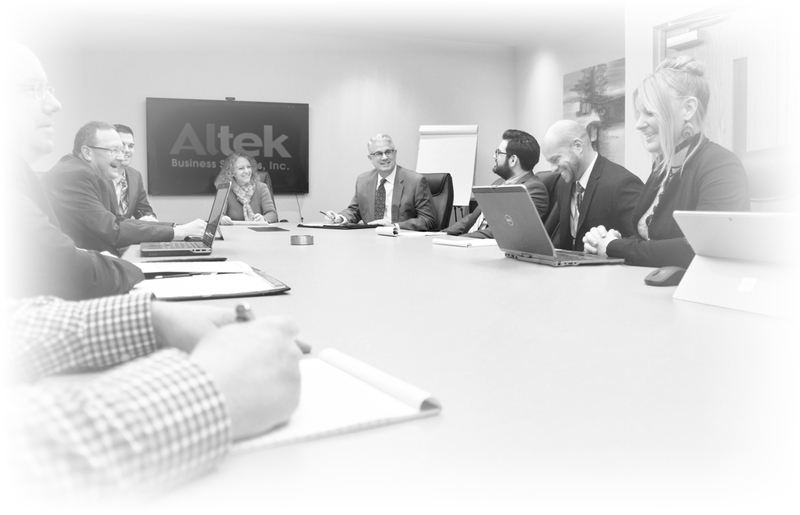 Every Altek employee knows our success is tied to our client’s success. SALES CONSULT, CAREER INQUIRY, OR WISH TO SAY HELLO? Sales Consult Career Inquiry Hello!